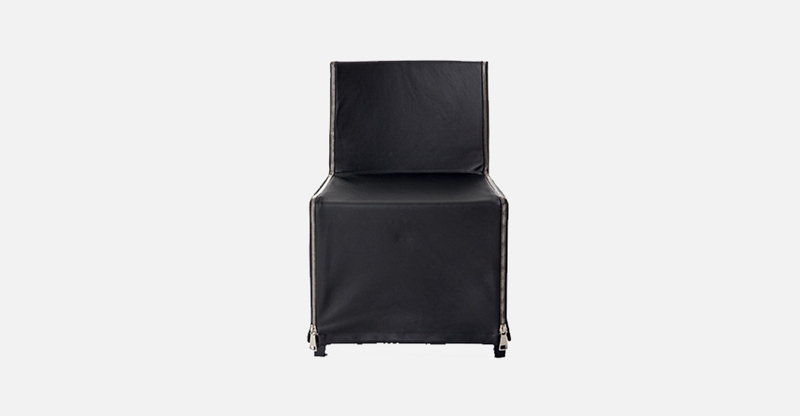 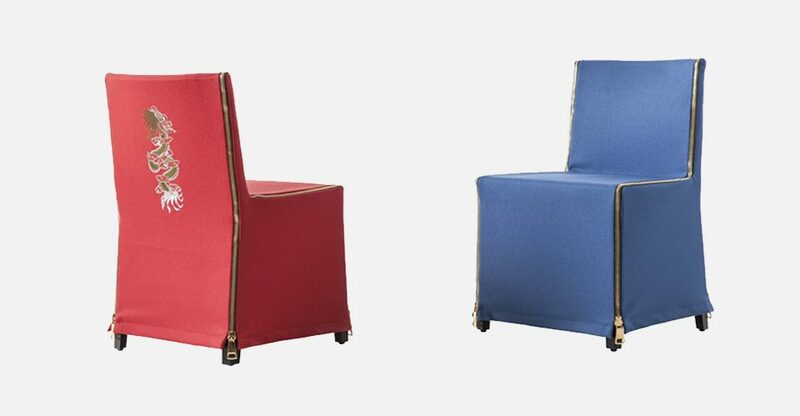 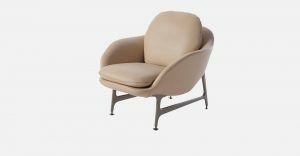 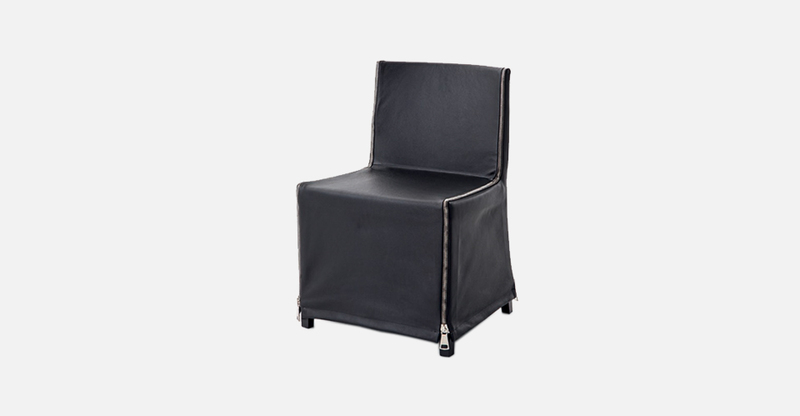 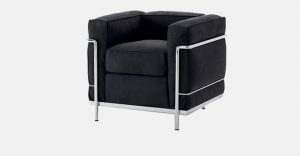 Small armchair with or without armrests, massive beech wood legs and removable cover in a selection of fabrics with inverted pleat, as tradition dictates. 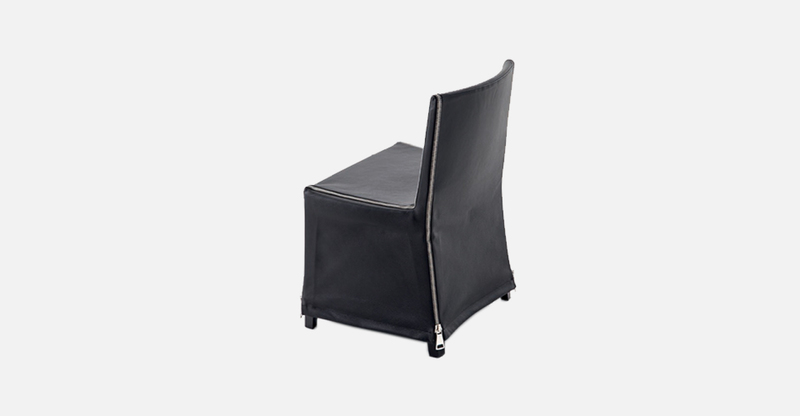 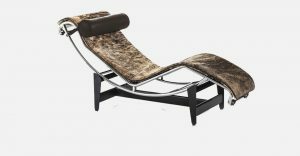 The same armchair is available in a rock version, Hard Dress Zip, with leather upholstery, completely removable thanks to a double-slider zip that underlines the geometric profile of the seat. A third version, Hard Dress Dragon, is available with removable cover in blue or red fabric and the embroidery of a dragon on the back, inspired by the armor of the ancient Chinese imperial guards.